I dedicate Sunday evenings to devotional ceremonies that culminate into a weekly divination. 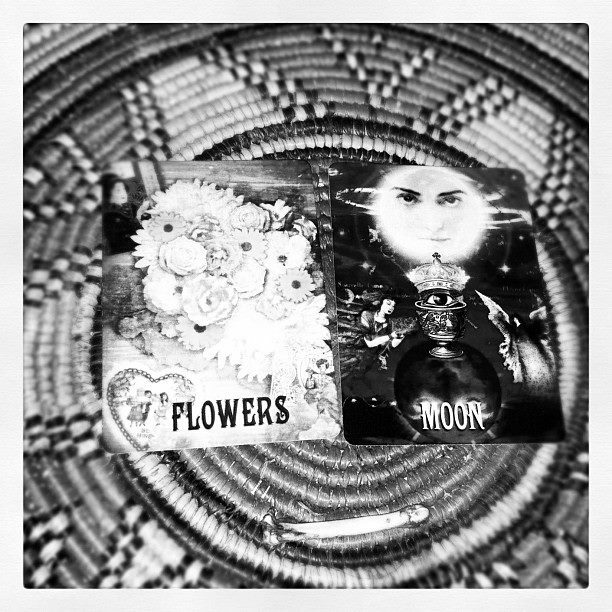 After attending to the ancestral boveda (shrine) and other altars, I usually spend time meditating and drawing cards from various decks to see what kind of energies will manifest in my life in the coming week. 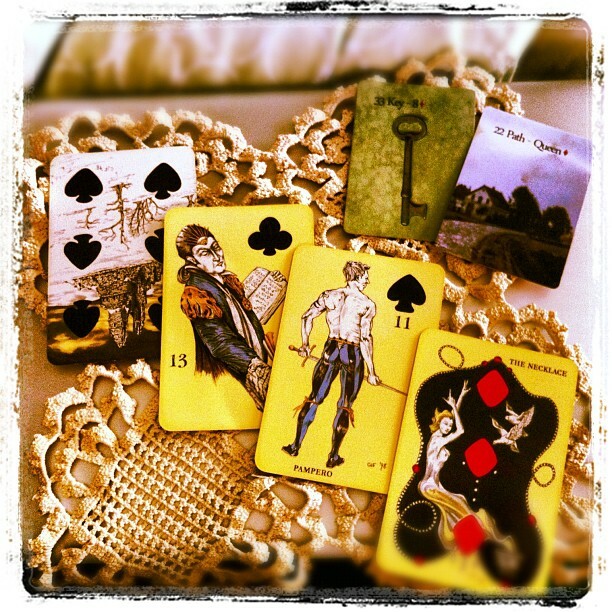 I also cast a handful of bones over the cards, which tends to seal and ground the reading. This week the reading was more intense than usual because I knew I am going for a surgery. 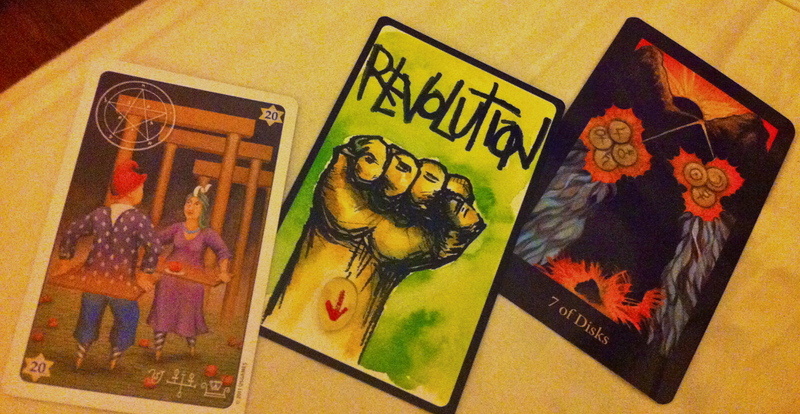 From the Mary El Tarot I pulled the Queen of Disks, The Wheel of Fortune, and Death. From the Postmark Lenormand I drew: Book – Birds – Path – Mountain – Clover. 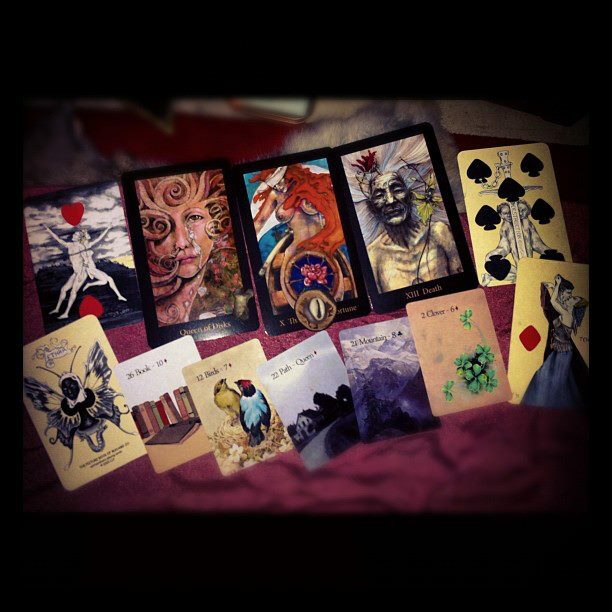 And the Playing Cards Oracles manifested in: 2 Hearts; Ace of Clubs; 7 Spades; and 10 (Lady) Diamonds. Finally, I drew 3 bones / curios — Lion’s knuckle + Dog’s ankle bone + a Cowry Shell over coconut (Obi) with mouth up. Most of all, this trio talks to me of professional recognition, rediscovery of professional loyalties, and new offers that will withstand the test of time. I also feel the Spring in these cards. And considering today is Ostara, it isn’t surprising. Generally feels like a great combination for a good week. Happy Spring, y’all!